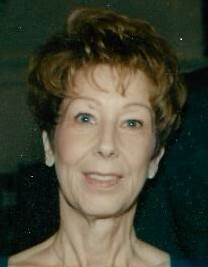 Bridgeport ~ Doris Jennette Denton, 77, a retired secretary, went to be with our Lord Friday, February 1, 2019, in Decatur. Funeral is 2:00 p.m. Tuesday, February 5, 2019, at Hawkins Funeral Home chapel in Bridgeport with burial in East Bridgeport Cemetery. Family will receive friends 6-8 p.m. Monday at the funeral home. Rev. Gary Dimmitt will officiate. Pallbearers include Brooks Kennemer, Price Kennemer, Rob Nimmo, Greg Cunningham, Trent Petrie, and David Mote. Honorary pallbearers Roy Cunningham, Jay Conquest, Pete Peleberg, and Joe Cathey. Doris was born August 16, 1941, to Robert and Nona (Niblett) Nimmo in Abilene. She was united in marriage to Tommy Denton on July 30, 1998, in Bridgeport. Doris was a member of the Pleasant View Baptist Church. She was preceded in death by her parents; her husband, Bob Kennemer; and her brother, Don Nimmo. Those left behind to cherish her memory are her husband, Tommy Denton of Bridgeport; her sons, Mike Kennemer and wife Lori of Weatherford, Wayne Kennemer and wife Chanda of Stillwater, Oklahoma, and Tommy Denton and wife Sue Ann; her grandchildren, Brooks Kennemer, Allye Kennemer, Price Kennemer, Emmie Kennemer, Mara Denton, and Haley Denton; her sister-in-law, Ann Nimmo of Bridgeport; her sister-in-law and brother-in-law, Lorretta and Roy Cunningham; numerous nieces, nephews, and a host of friends.